The auto group’s new boss is handing shareholders 2 bln euros from a car-parts unit sale. That leaves 4 bln euros for Fiat Chrysler to invest, save or do a deal. Propping up its balance sheet would soothe investors and rating agencies, and be a firm sign of conservative intent. 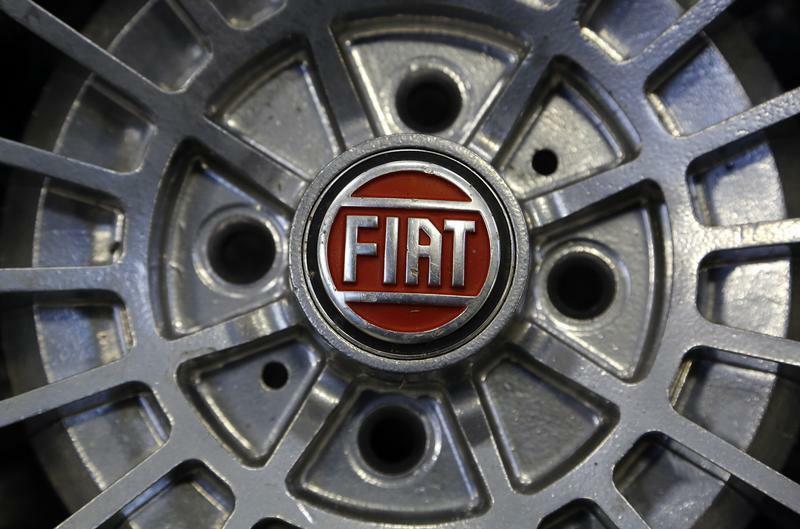 A Fiat logo is seen on the wheel of a Fiat car in Turin in this picture taken February 10, 2013. Fiat Chrysler reported a record adjusted EBIT of 1.995 billion euros in the third quarter of 2018, up 13 percent from a year earlier and above a Reuters’ consensus. It also improved its adjusted EBIT margin by 20 basis points to 6.9 percent. The car group said it would distribute an extraordinary dividend of 2 billion euros following the sale of its car-parts unit Magneti Marelli to Calsonic Kansei for 6.2 billion euros ($7 billion). The company also plans to resume a dividend of 20 percent of earnings next year. Third-quarter net profit was down 38 percent to 0.6 billion euros due to a 0.7 billion euro charge related to U.S. litigation over diesel emissions. The group cut its net industrial cash guidance for 2018 to 1.5 billion euros to 2 billion euros from approximately 3 billion euros. As of the Oct 29, Fiat Chrysler shares were down 4.7 percent in the year to date, the best performance of all global carmakers except Peugeot and Tesla. As of 1314 GMT on Oct. 30, they were trading at 14 euros, down 1.2 percent.